Even today, there continue to be new revelations showing that little has changed, and that the institution’s original sin of a “loan approval culture” or “pressure to lend” is as perverse as ever. The legacy of ecological and economic harm produced by this lending culture is best illustrated by a case study, namely the acceleration of World Bank Group support for giant coal fired power plants in the period 2008—2010 in India, South Africa, and elsewhere. The Bank’s coal finance binge took place even as it was simultaneously managing many billions of extra funding that donor nations gave to it fight climate change. In 2008 the US, UK, Japan and other industrialized countries asked the World Bank to administer $6.7 billion in several Climate Investment Funds (CIFs) to provide grants and low interest loans to developing nations for clean-energy investments and other programs to address climate change. The CIFs were intended to be a predecessor of what at the time was projected to be a much larger, $100 billion a year United Nations Green Climate Fund, which has since materialized but on a much smaller scale. The Bank was already administering the investment projects of the Global Environment Facility, which since its establishment in 1991 until the early 2000s invested an average of $162 million annually for climate change mitigation. But under the Bank’s aegis (and over the protests of United Nations Environment Programme representatives) some GEF funds were used to top off carbon-intensive Bank projects, including a $45 million GEF contribution to a project for the life extension and modernization of several coal plants in India. Starting in 2000, donor countries also entrusted the Bank with additional contributions for carbon funds whose main purpose was to jump start international carbon offset trading under the Kyoto Protocol Clean Development Mechanism, as well as carbon trading for forest offsets in developing countries not covered by Kyoto. By 2011, the Bank claimed it was managing over $3 billion in 13 different carbon funds. At the same time, the World Bank Group went on a coal financing bender, lending $6.75 billion for coal plants and associated infrastructure between 2008 and 2010 in the Philippines, Chile, Botswana, India, and South Africa. By taking the lead role in such investments, the World Bank Group catalyzed tens of billions of dollars in additional funding by other public and private financial institutions and banks. Two of these Bank financed projects – the 4150 Megawatt Tata Mundra coal plant in India and the 4800 MW Medupi coal plant in South Africa – have been in the news recently, not just for their enormous long term environmental impacts, but also as examples of multi-billion dollar economic debacles that have financially crippled the Bank’s clients—in the Indian case Tata Power, in the South African case the national electric utility ESKOM. Tata Mundra, which was supported with a $450 million loan by the IFC (the private sector lending arm of the World Bank) in 2008, was also recently the subject of a U.S. Supreme Court decision. Public interest advocates representing affected local communities maintained that IFC negligence resulted in the contamination of drinking and irrigation water of local farm communities, causing severe harm to fisheries and fisherfolk and adversely affecting public health through air pollution and inducing involuntary economic and physical displacement. The IFC’s Compliance Advisor/Ombudsman confirmed these allegations, but IFC management did not act to remedy the problems. The Court ruled against the IFC’s arguments that it enjoyed almost complete immunity from law suits under US law, and remanded the case back to lower courts for further consideration. The negligence of the Bank Group in Tata Mundra is on a scale that greatly exceeds the needless harm inflicted on local poor people. Tata Mundra is one of the 50 biggest sources of greenhouse gas emissions on earth. The inexpensive electricity rates that Tata and the IFC touted to justify the project depended on the import of Indonesian coal at highly subsidized rates. However, the Indonesian government eventually halted the subsidies, and in 2011 Tata Power asked the Indian government in vain to allow it to double the rate, since the plant was losing $250 million annually and was at risk of becoming a non-performing asset. In 2012 Tata Power’s Executive Director announced that henceforth the company would only invest in wind and solar, both domestically and abroad. “Why would anyone want to invest in at this stage in a coal project?” he exclaimed. Standard and Poor’s and Moody’s downgraded the company’s credit rating. In 2017, Tata offered to sell 51 percent of its equity in the multi-billion dollar plant to several Indian states for one rupee — equivalent to l.4 US cents. There were no takers. When the IFC announced it was considering lending to Tata Mundra, David Wheeler, formerly a lead environmental economist in the Bank for 17 years, denounced the IFC’s support for the project in numerous articles and in US Congressional hearings. Besides attacking Tata Mundra for having disastrous climate implications, Wheeler noted that the Bank was squandering scarce public resources to subsidize a private power plant that did not need public international subsidies. As an economist, he warned—completely accurately—that “power from Mundra will never be sold at the rate advertised on the IFC’s website…because this would guarantee bankruptcy in short order.” The other rationale for the project – that it would supply needed energy for the poor – was equally bankrupt, as only one-tenth of 1 percent of Tata Mundra’s electricity was allocated to households without power. In March 2010 the World Bank approved $3.75 billion for the Medupi plant in South Africa, which will be the third largest coal power plant on earth when it is completed. Like Tata Mundra, it will emit more carbon annually than 115 nations. World Bank involvement in Medupi came right after the approval of $2.73 billion of export loan guarantees from the Export Credit Agencies of France and Germany for an equally costly companion coal plant, Kusile, which will be the fourth largest coal power plant on earth. Medupi and Kusile turned out to be even greater economic debacles than Tata Mundra, and have been plagued by huge cost overruns, delays, and corruption. 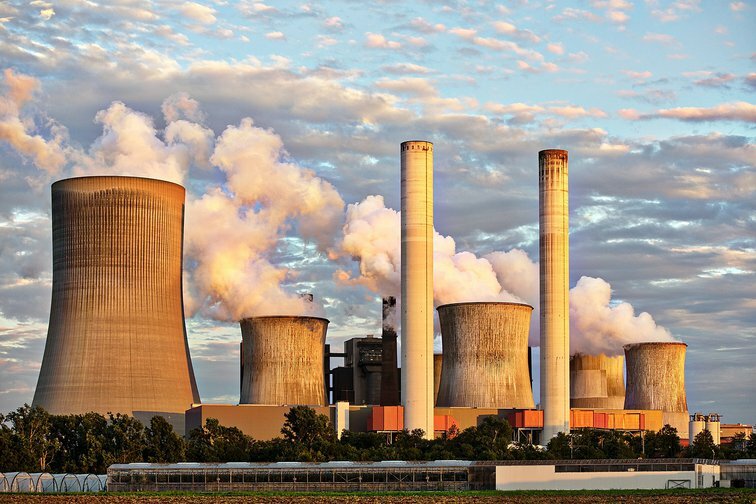 Current estimates are that Medupi and Kusile, if completed, will be two of the most expensive coal plants ever constructed, costing over $20 billion. ESKOM now claims Medupi will be finished in 2020 and Kusile in 2022. According to the Financial Times, the debt of ESKOM has grown over tenfold since 2007, and the utility is now threatened by bankruptcy. The South African government recently announced a bailout of $4.9 billion just to cover three years of ESKOM’s debt payments. The local pollution impacts on vulnerable populations are immense. In the case of Medupi, the World Bank Group allowed ESKOM to proceed without installing dust monitors or complying with already weak South African standards. The Financial Times cited analyses by environmental groups which estimated that annual premature deaths from this pollution could be in the thousands. Both Tata Mundra and Medupi will be among the largest sources of greenhouse gas emissions on earth for decades to come. At the time of their initial financing, the World Bank Group advised both Tata Power and ESKOM to seek carbon credit subsidies from the Clean Development Mechanism worth many tens of millions of dollars a year, under a controversial CDM protocol that allowed credits for projects that could show they were putatively emitting less CO2 than they would have without CDM payments. One of the biggest ironies of the World Bank’s negligence in these cases is that in both India and South Africa, renewable energy was already emerging as an alternative that promised rapidly falling costs and of course a climate friendly future. On January 19 this year, the World Bank’s Country Director for South Africa announced that ESKOM “is a case of being too big to fail,” and called for debt restructuring and support. Since 2014 the World Bank has not directly financed new coal plants, and in recent years has publicly proclaimed its commitment to financing climate friendly alternatives. But at the World Bank and IMF spring meetings this year, the German NGO Urgewald released an assessmentof over 675 energy projects of the World Bank Group. The study revealed that in the Bank’s fiscal years 2014—2018, it approved over $12 billion for fossil fuel projects compared to a little over $5 billion for renewable energy (excluding large hydropower). “The Bank also continues to require governments to adopt investment incentives for coal and upstream oil and gas. Such flagrant contradictions to climate pledges must end immediately,” concluded the Urgewald researcher Haike Mainhardt. The financial and environmental legacy costs of projects like Tata Mundra and Medupi are enormous, not to speak of the World Bank Group’s continued subsidies for fossil fuel development. The opportunity costs of squandering billions of dollars of scarce public international finance for investments in polluting, stranded assets are a scandal. The lessons from the still ongoing sagas of Tata Mundra and Medupi remain more relevant than ever, as the internal institutional culture that led to these debacles has not changed. First, the World Bank used what at the time were disingenuous, false rationales to push through enormous loans for environmentally destructive projects, despite significant evidence that its official justifications were bogus. Second, the accountability mechanisms in place, the IBRD/IDA Independent Inspection Panel, and the IFC CAO, were powerless to convince management to remedy the local environmental and social impacts that the plants caused. Third, donor governments themselves and their representatives on the World Bank’s Board have been grotesquely irresponsible by approving billions of additional funding in various trust funds to mitigate climate change while at the same time the Bank was approving even larger loans that contradict the stated goals of these funds. Fourth, the existence of loan portfolios labeled “environmental” or “climate mitigation” is no guarantee that the overall environmental and climate impact of a lending institution may not be environmentally destructive. Fifth, a lack of environmental and climate due diligence, and worse, active misrepresentation of climate and environmental impacts, can be leading indicators of large scale fiduciary negligence and deeply embedded corruption, with enormously negative financial consequences. Sixth, in the World Bank Group the institutional dysfunction that led to the debacles of Tata Mundra and Medupi has not improved. Indeed, it may have even gotten worse. Last month Ernst Lutz, a Swiss UC Berkeley economist who worked with the World Bank from 1977 until 2006, and who continued to consult for the Bank until 2017, published a damning article called ‘When the World Bank Needs to Lie’ which outlined the pervasive culture of loan approval that continues to result in avoidable environmental and economic failures. He notes that the pressure to lend at the Bank remains high, and that “corruption has not been reduced” despite the Bank’s various claims to be trying to promote good governance. The pressure to push money out the door often results in a lack of sustainability for projects, meaning the capacity of a project to deliver results over a longer period of time. The Bank’s penchant to continue pushing money out the door results in more poverty, and worse: “One example is Burundi, where…[IDA] continued to support the government…despite the government’s massive crackdown on citizens since 2015, generating new poverty and killing more than 1000 people and forcing over 400,000 to flee.” Until this institutional culture is changed, lending more money in many countries risks making things worse, not better. In the absence of collective political will on the part of the Bank’s major Board members, nothing will change. Policy proposals, such as those for greater accountability, for mechanisms to learn from past experience, for greater participation and consultation of affected people in Bank projects, and for strengthening the Independent Inspection Panel and CAO, often ignore the history of existing accountability, participation, and learning mechanisms in the Bank. The recommendations of these internal mechanisms, mostly established in response to outside pressure, have been consistently ignored by Bank management in some cases for nearly a half century. In reality, the US Congress was so concerned about this issue in the late 1960s and early 1970s that it conditioned US appropriations to the Bank on the establishment of an internal learning and quality control function. This led Bank management to create the Operations Evaluation Department (OED) in 1973, which subsequently became the Independent Evaluation Group (IEG). Outside pressure – including threats by the U.S. Congress to withhold funding from the IDA Replenishment – led to the establishment of the so-called accountability mechanisms of the Independent Inspection Panel and Compliance Advisor/Ombudsman in the 1990s, and to the creation in 2001 of the Department of Institutional Integrity (INT) to investigate corruption in Bank projects. But the INT, which was a long overdue effort to ensure that the Bank followed its fiduciary duty, enshrined specifically in its charter that the proceeds of loans “are used for the purposes intended,” also encountered resistance from management and from member nations. Of course, the Inspection Panel and the CAO could serve to exercise greater and continual accountability (another recommendation of the Nature piece as well as of various NGOs), but it was precisely the objections of some the Bank’s member countries and of some in Bank management that led to the creation of these mechanisms to serve in a merely advisory function, with little to no real institutional leverage or power. Calls for more participation of affected people in Bank projects and in identifying reform measures (as also recommended in the Nature piece) are hardly new. In fact the Bank’s environmental and social safeguard policies, dating back to the 1980s, have over the years provided for participation of, and consultation with affected populations in projects with significant environmental and social impacts, though these policies were often spottily implemented. Rather than improving monitoring and compliance with these policies, Bank management in recent years has diluted them to speed up lending, and continued a trend of allocating much of the World Bank Group’s lending to non-project, financial intermediary, and policy loans which do not trigger most of the safeguard policy requirements. Like other ephemeral attempts to reform the Bank from within, the QAG disappeared without a trace, but its conclusion about a pervasive culture of “institutional amnesia” remains the most telling insight into the underpinning of the pressure to lend. Most of the institutional mechanisms and bureaucratic tools to prevent future environmental, social, and economic development debacles have been in place for decades. But real change will only come through political will and pressure by major country members for the institution to assume responsibility for its negligence and to finally make quality, rather than quantity, a priority in lending.